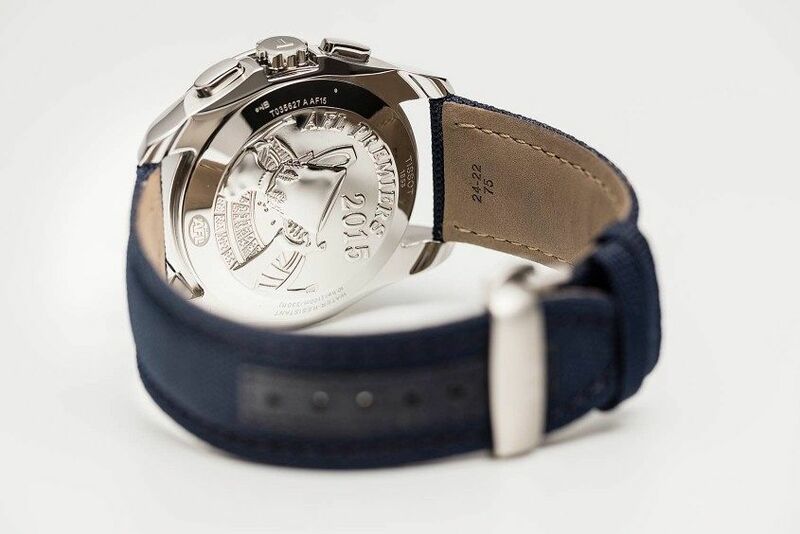 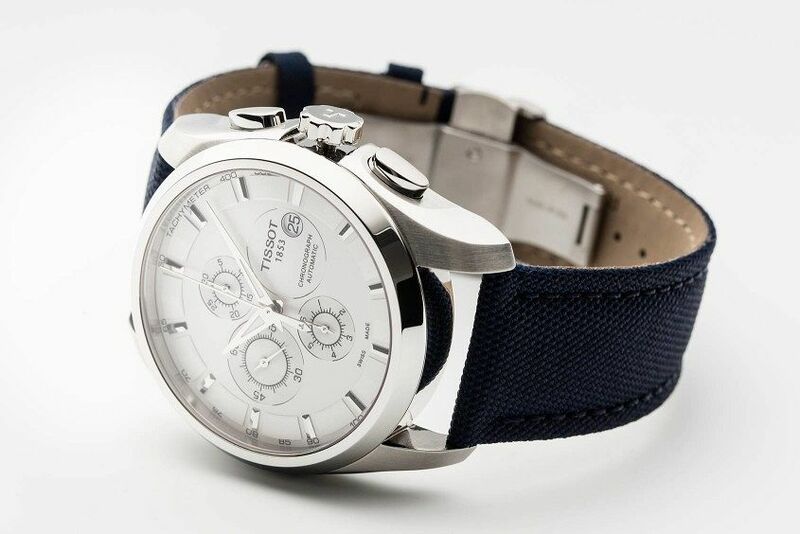 Last night, at a closed function for family, friends and Western Bulldogs football club staff, Tissot Australia brand manager Scott Jungwirth followed the lead of Bulldogs coach Luke Beveridge by presenting injured skipper Bob Murphy with a Tissot Premiership Watch to celebrate the team’s first premiership in 62 years. 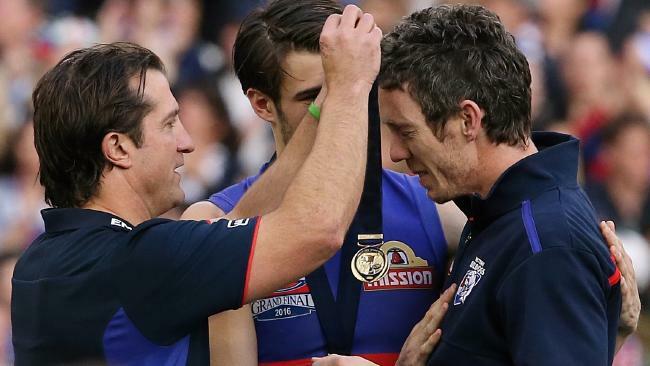 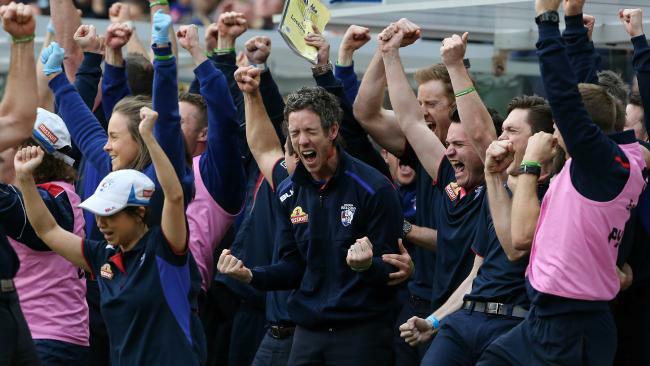 Not only did the Bulldogs break the longest drought in AFL history, they also made history as the first team to win the flag from way down in seventh place. 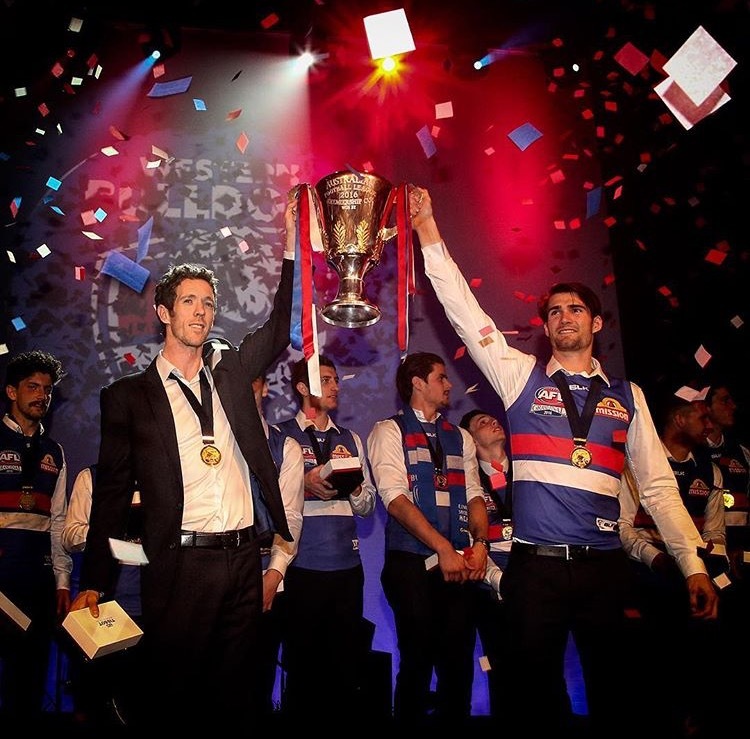 Bob Murphy holds the cup in one hand and his Tissot Premiership Watch in the other. 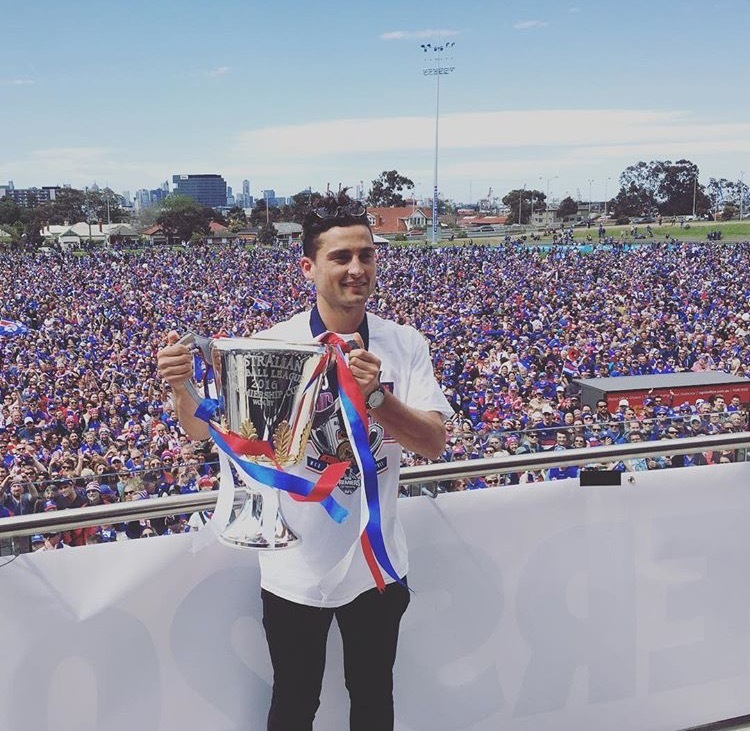 Luke Dahlhaus holds the Premiership Cup and dons his Tissot Premiership Watch – in front of a crowd of tens of thousands of Western Bulldogs fans…!